Laura Dulee is a senior and works weekend at Game Time Gym. She took Journalism to sharpen her photography skills, and hopes to study communication or marketing in college. She describes herself as a self- starter and plays softball and volleyball. 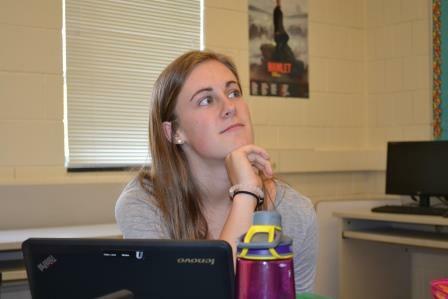 She "likes to adventure" in addition to being a member of Fellowship of Christian Athletes and National Honor Society. While working in the U-Link Center she is motivated by being successful and having her hard work pay off.